AMMONNEWS - Deputizing for His Majesty King Abdullah II, the Supreme Commander of the Jordan Armed Forces, His Royal Highness Prince Faisal Bin Al Hussein on Tuesday, offered condolences to the family of Helicopter pilot First Lt. Ahmed Ali Mohammad Khleif Khawaldeh. 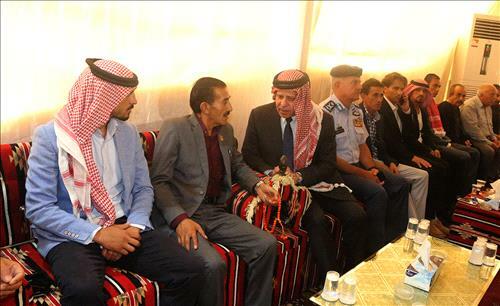 During a visit to the house of condolences of Khawaldeh in Balama in the Mafraq Governorate, His Highness conveyed the King's condolences to the family of the martyr. First Lt. Khawaldeh and an American pilot died when their helicopter crashed during a training mission in the US state of Texas last Tuesday.